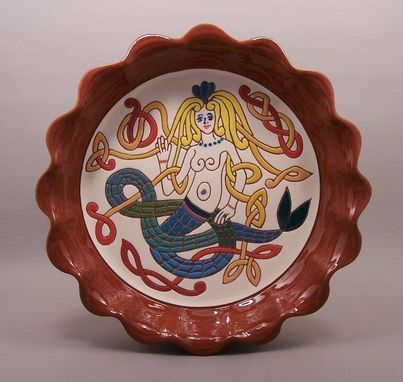 10 Inch Celtic Mermaid Pie Plate. Oven safe (just remember not to preheat the oven without this already in, or it will crack! ).